Laminated box sleeve, top opening, made and printed by Howards Printers Ltd. 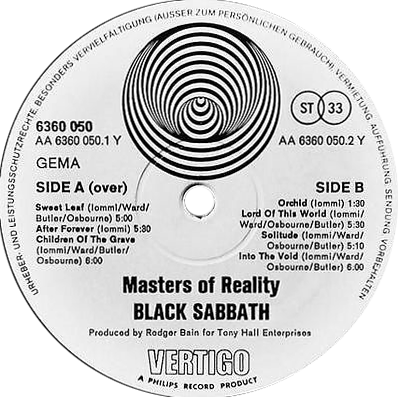 Note: ‘Sweet Life’ error occurs towards end of Vertigo pressing (VO Price Code versions were issued with WWA stickers) and continues into WWA printed sleeves, finally corrected back to ‘Sweet Leaf’ for NEMS pressings. One-off ‘reversed’ swirl label with black background and white text. Small swirl and ‘VERTIGO’ above spindle. 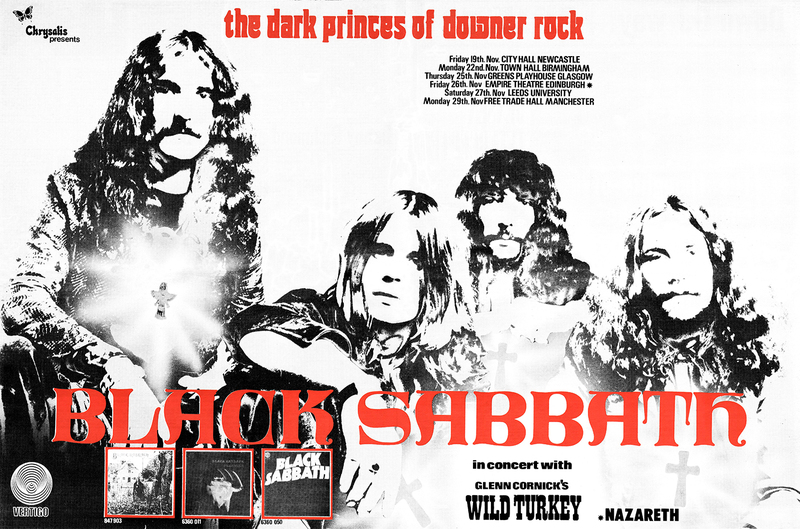 All of the dates advertised on this poster ended up being cancelled and rescheduled (with additional dates added in) for January and February 1972.